Bamboo wall coverings usually call to mind images of rooms dressed in neutral colors and reminiscent of spas. However, bamboo is more than just that. You can enjoy the benefits of this natural and sustainable material without defaulting to any type of overused decorative pattern. For instance, designer J.W. 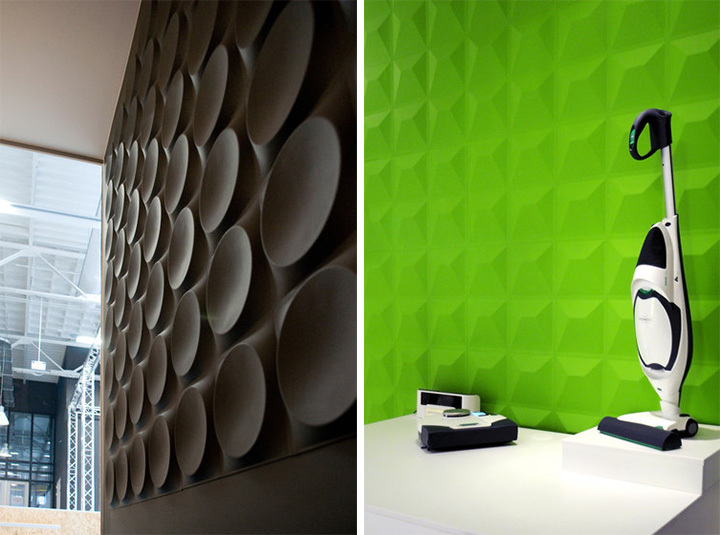 Leeuwenburg from the Netherlands proves the versatility of bamboo as wall treatment with ingenious 3-D wall panels. These panels are made of pressed bamboo pulp and shaped into three-dimensional patterns. The patterns range from subtle to well-defined, with angles and curves that infuse your space with plenty of character. Some allow you to get creative with your designs, others are perfect for single-pattern wall coverings. Since their surface in paintable, they can become the basic element for potentially sophisticated and imaginative designs. Easy to install, these bamboo wall coverings can be extended as far as you please, to entirely or partially cover the walls. They can also double as ceiling decor and help creating some spectacular designs. 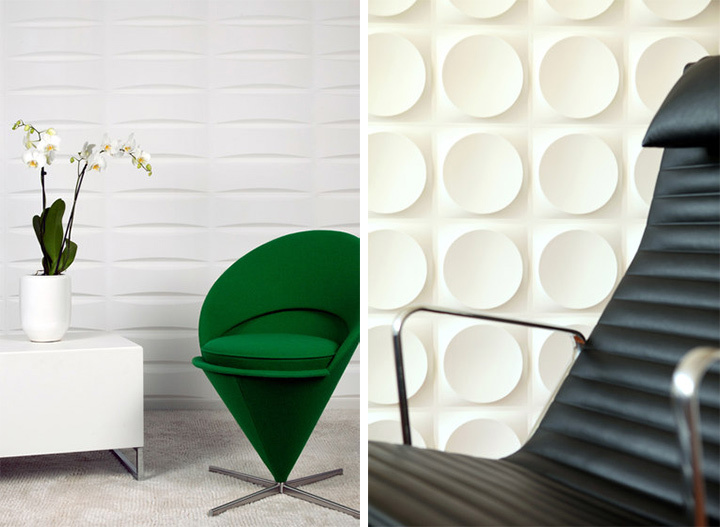 The panels provide depth, texture and dimension, and turn walls into veritable works of art. From a functional perspective, they dampen sounds and are flame-retardant and water-repellent, giving you the benefits of bamboo with the look of modern wall coverings. Regardless of the look you prefer, these bamboo wall coverings shows that, even recreated into other shapes and colors, the material retains its aesthetic appeal and excellent functionality. In case you prefer less of a natural look, and more the perfect symmetry of a geometrically designed wall panel, the 3-D Wall Decor by J.W. Leeuwenburg may be just the thing for you.